Here's my review in today’s Boston Globe of “Fantastic Tales: The Photography of Nan Goldin” at the Rhode Island School of Design Museum, 224 Benefit St., Providence, Nov. 3 through Jan. 14, 2007. 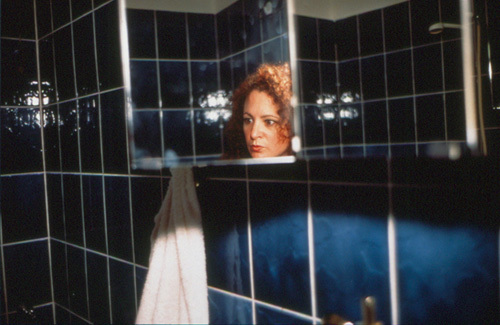 Top: “Self-portrait in my blue bathroom, Berlin,” 1991. Bottom: “Nan and Brian in Bed, NYC,” 1983. Copyright Nan Goldin, courtesy Matthew Marks Gallery, New York.